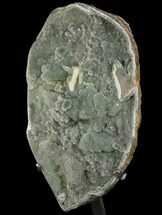 This is a truly stunning specimen of rare green druzy quartz stalactites from the amethyst mines near Artigas, Uruguay. 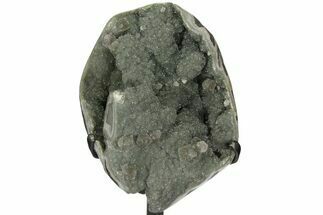 Sometimes referred to incorrectly as "green amethyst" it was mined from within a pocket in the basalt and features a secondary growth of sparkling, green quartz crystals. 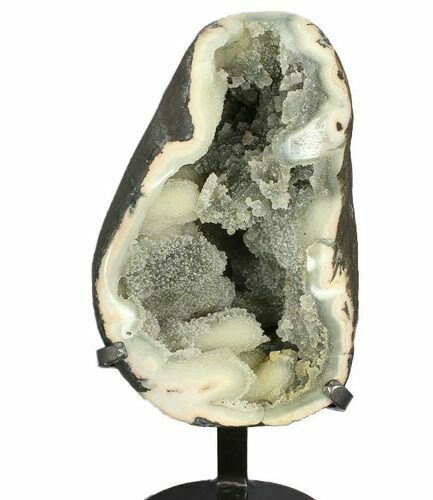 The quartz formed in stalactitic projections that sit horizontal within the geode when placed on its stand. 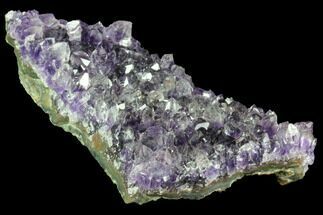 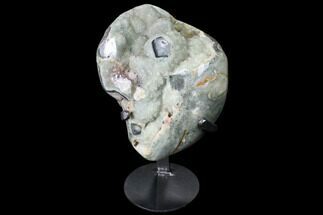 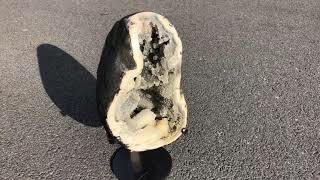 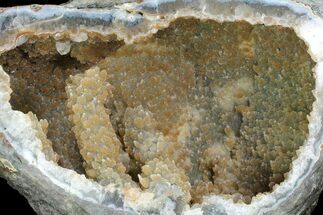 Calcite crystals can be found scattered within this fascinating geode, as well. 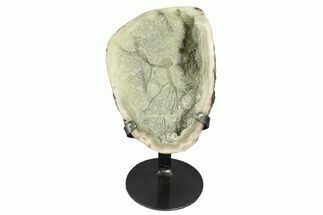 I can pretty much guarantee this incredible piece will look even better in person than in the photos.